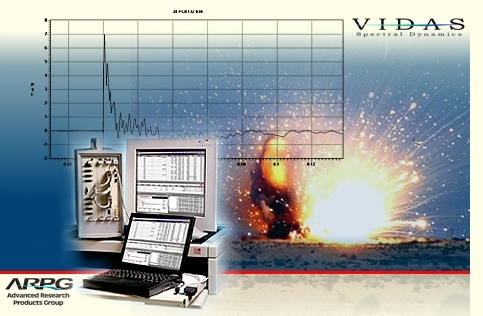 Spectral Dynamics' VXI Data Acquisition System (VIDAS) is a high bandwidth measurement system that pushes the limits of transducers and techniques. VIDAS System Solution from The Advanced Research Products Group (ARPG™) of Spectral Dynamics offers VIDAS (VXI Data Acquisition System), high performance VXI hardware & software solutions. VIDAS combines dynamically scalable channel count versatility with features you need and critical performance for your testing demands. Our products offer superior fidelity and excellent channel-to-channel phase match for the most accurate measurements in the industry. Passive Input Panel system (PIPS™)or Smart Interface Panel System (SIPS™) accommodates front-end wiring and special function signal conditioning requirements. instant review. Real-time snapshot FIFOs allow DAS channel monitoring for reconfiguring your test on the fly. A complete integrated 8 channel data recording VXI module. Each channel includes a bridge signal conditioner, a low pass filter, a 16-bit 5.0M samples/sec/ch ADC, and 16M samples of PS-RAM storage per channel. Spectral Dynamics offers turnkey solutions, custom engineering, or system components and drivers, for build-your-own system solutions.